Are you searching in Google for public speaking events and training courses near you? To help you avoid the pitfalls other entrepreneurs, leaders and business owners had to go through to find the best speaker trainer or speech coach for them, here are 5 questions you want to ask yourself BEFORE you register for a public speaking event or participate in a local public speaking training course. What are you hoping to get out of working with a speaker trainer or speech coach? How can I tell if a particular speaker training or speech coach is right for me? Does the location of the speaker training matter? Is the speech coach a seasoned expert? Are their speaker trainers and speech coaches near me offering customizable speaker training programs or courses to fit my needs? #1 What are you hoping to get out of working with a speaker trainer or speech coach? What did I do during my last presentation that was effective? What did I do during my last presentation that was ineffective? By asking yourself these two important questions, you can discover what you would like to focus on first and find the speaker training or speech coach that is ideal for your needs. 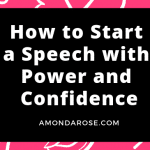 Keep in mind the right speaker trainer and speech coach is an expert and may provide some additional information and helpful insights that you haven’t realized you needed help with. If you are new to speaking, working with a speaker trainer and presentation coach is a smart idea. That way you won’t have to learn from your mistakes and you will be more successful right from the start. You can spend hours and days reading public speaking books and watching videos. However, getting expert help is a huge time saver. 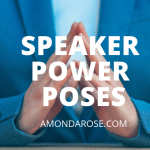 Some speaker trainers may focus on different areas of expertise and niche markets so you want to find the right one that fits your career focus and presentation goals. Make sure you’re aware of all the services your potential speaker trainer and presentation coach offer. #2 How can I tell if a particular speaker training or speech coach is right for me? Okay, you’ve Googled “speaker training near me” or “speech coach” and found a couple of good local possibilities. Well, every speaker training and presentation coaching company is different. Some specialize in presenting to business owners and entrepreneurs. Some focus on corporate and leadership type presentations. Others teach standing behind a podium and using powerpoint slides. While others focus on interactive and engaging presentations without the use of a podium and powerpoint slides. Other speaker training and speech coaching companies may stand out from the competition because of the innovative techniques they use and how others speak about the company (which you can discover by googling the name of the company or individual, reading testimonials on the website and searching for reviews). What type of programs do they offer? Do they meet with you in person, online via webcam or on the phone? Do they offer short term and long term programs? Do they offer private and/or group programs? Do they have an area of specialty and/or expertise? Do they have positive testimonials from past clients? How long have they been working in the speaker training and presentation coaching industry? Do they have special certifications? Have they received any speaker training awards? #3 Does the location of the speaker training matter? Due to the online technology that is available today, the location of a speaker training and presentation coach isn’t as important as it used to be. Nowadays, you can meet with a coach and trainer from the comfort of your home or office, without have the expense of travel to and from your appointments. What matters most is their expertise, dedication to their clients and their commitment to your success. That’s because many speaker training programs and presentation coaching can be done live and online. Many work with clients all across the U.S. Some even Internationally. This way, you get the best of both worlds – speaker training and presentation with the power of live and online convenience. This allows you to find someone who fits your needs, no matter where they’re located! If you prefer and decide to work with a speaker training and presentation coach that’s local to you, you can meet in person, or you can even attend a local group speaker training, speech workshop or presentation boot camp. To put it simply — a speaker trainer and presentation coach must possess the knowledge, expertise and credibility you need, whether they’re in your backyard or not! #4 Is the speech coach a seasoned expert? Like mentioned above, reputable speaker trainers and speech coaches are seasoned. Most have paid their dues as a speaker and have built a solid reputation based on their skill. Video of them actually presenting like a speaker demo reel or a presentation video reel. 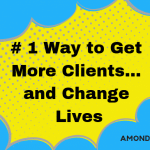 #5 Are the speaker trainers and speech coaches near me offering customizable programs to fit my needs? Speaker trainers and speech coaches will often customize their private programs and not their group programs because they aren’t designed to personalize. A caring speaker training and speech coach will take the time to address your specific needs during a consult or a discovery session, and will recommend which option is best for you. That’s because a speaker trainer and speech coach that cares about their clients will take the time to speak with you and help you get clear on what training option is best for you and your desired speaking results. Keep in mind that some speaker trainers and speech coaches may have only one training or coaching option, and others will have private coaching, group coaching, live events and online training programs. When speaking with the right speaking training and speech coach, they will guide you to the right next steps. 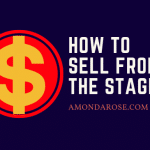 Now that you know how to find the best speaker training and presentation coach, take the time to find the right organization or person to hire. Look for a speaker who is presents like the speaker that you want to be. Do they speak from the heart? Are they authentic and approachable? Do they care about the success of others? Are they totally honest and supportive at the same time? Do they have speaker training programs that include presentation templates and speech delivery systems that make it super easy for you? In the process of looking for the right speaker trainer and speech coach, follow your heart! You will know it when you speak with the right person or company! You won’t feel sold on their programs; you will openly and freely invest in yourself and in your future with their training offering(s). It will feel like the right fit! Please contact her for further information on future locations.